This White Resin Folding Chair features a 1000 lb. weight capacity so that you can be assured that it will accommodate any function. From indoor or outdoor weddings to other upscale events, this resin folding chair will never let you down. 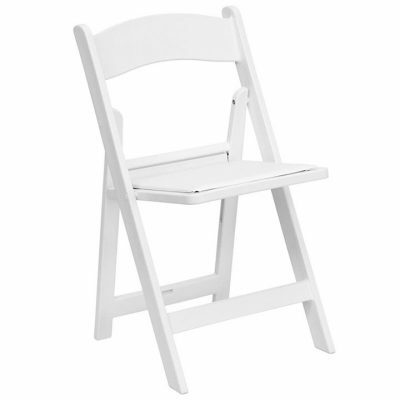 Featuring a padded vinyl seat, our white folding chair will provide an excellent solution to all your event planning needs.